A dental emergency really can strike out-of-the-blue and hit us when we least expect it. Even if we look after our teeth and gums really well, sometimes toothache can strike or perhaps a sporting injury or accident can break or crack one or more of our teeth. At times like this, you need the services of your local Ipswich emergency dentist to relieve your pain quickly and save your damaged teeth. By acting quickly, we can get you back on track and pain free once more. We are conveniently located in Ipswich and you can reach us quickly using local transport or by car. If you need emergency care, please be sure to call us as quickly as possible and we will try to make an appointment for you same-day. Where we can, we will try to complete your treatment during the emergency session, however where this is not possible, we will call you back to complete it at the next available appointment. 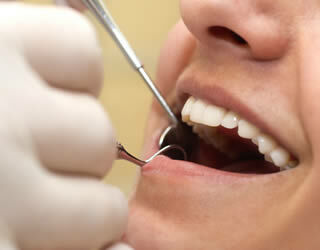 Our first objective will be to relieve pain and save any damaged teeth. Attending our emergency dentist is subject to the usual NHS fee if you are eligible, or £60 for a private appointment. So if you are based in Ipswich and need the services of an emergency dentist, please call us immediately and we will book you in as soon as possible.